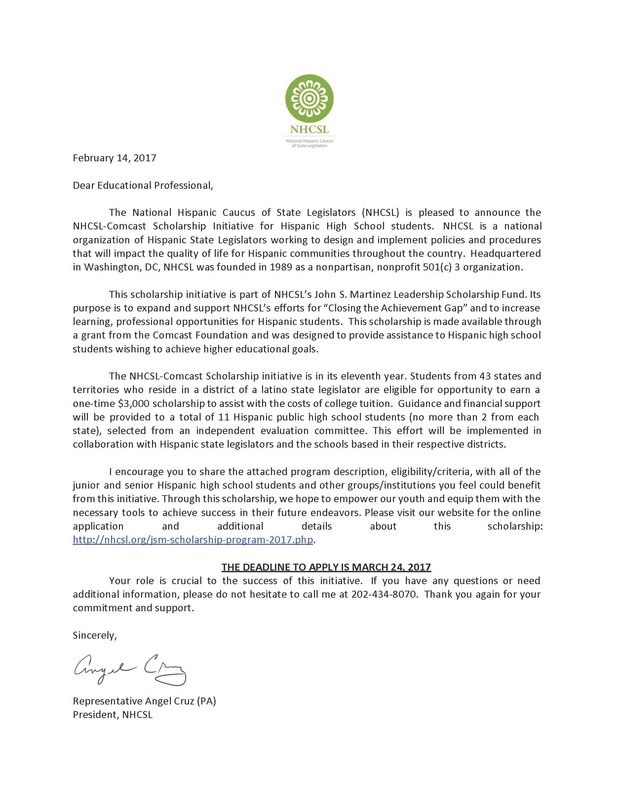 The National Hispanic Caucus of State Legislators (NHCSL) is pleased to announce the NHCSL-Comcast Scholarship Initiative for Hispanic High School students. NHCSL is a national organization of Hispanic State Legislators working to design and implement policies and procedures that will impact the quality of life for Hispanic communities throughout the U.S. The scholarship application is available here.